UPDATED: Thu., Jan. 31, 2019, 10:48 a.m. The University of Idaho banned a tenured journalism professor from its Moscow campus and heightened security patrols Wednesday, implying she was a threat. UI spokeswoman Jodi Walker confirmed the contents of the text alert, which was first reported by the student newspaper, the Argonaut. She said the allegation of methamphetamine use came from a November police report that school officials recently discovered. “The safety and security of our students is our primary concern, and so we’re doing this as a precaution,” Walker said. Walker declined to provide a copy of the police report or explain why school officials had deemed Bennett a security threat. Attempts to reach Bennett were unsuccessful Wednesday. She apparently lost access to her university email account, and two phone numbers listed under her name have been disconnected. The Argonaut, citing the police report, reported Bennett admitted to having used meth when Moscow police officers responded to her home Nov. 4 following a report of a domestic dispute involving Bennett and her husband, Bradley Janssen. Bennett told officers she had attempted to hide her husband’s firearms to “hurt his feelings,” the Argonaut reported. Bennett and Janssen denied the dispute had been physical. Officers found no meth on Bennett’s person, and no charges were filed against her. The Argonaut reported she agreed to meet with a domestic violence specialist and was taken to the Moscow police station. She later left the station with an unnamed relative. Janssen was outspoken during a student-led demonstration Wednesday evening, saying he had come to support his wife, the Argonaut reported. Wednesday’s text alert came almost a week after the university placed Bennett on paid administrative leave for sending a profanity-laced email in which she lambasted school officials for perceived problems in the School of Journalism and Mass Media, including misuse of grant funding. Bennett also was accused of raising her voice at the interim dean of the journalism school, Sean Quinlan, and one other university employee. 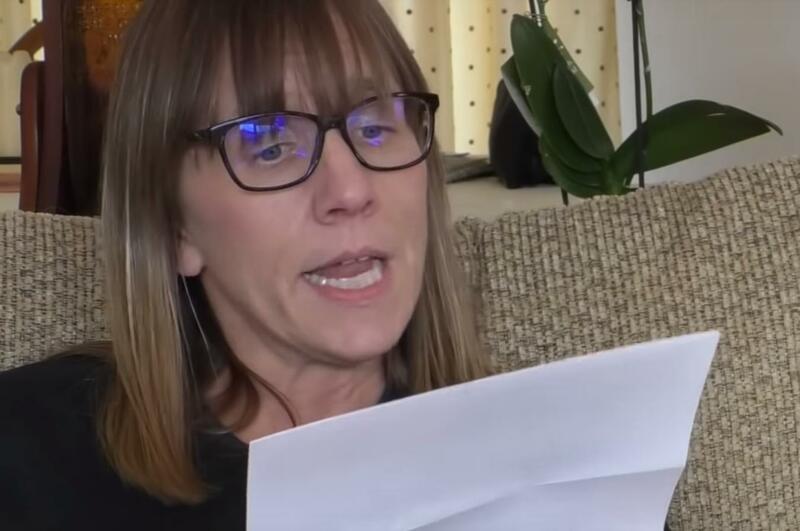 In a video posted to YouTube on Tuesday, Bennett read from her suspension letter, reacting angrily after each paragraph. She defended how she had confronted other school officials, saying she would not adjust her tactics. Later in the video, after reading a paragraph that said she was not to communicate with UI students and employees, Bennett shouted “fascists” along with an expletive. UI President Chuck Staben, who made the decision to issue Wednesday’s text alert, appeared to address Bennett’s suspension in a memo to university employees on Tuesday. Bennett has worked at UI since 2006, teaching classes in broadcasting, digital media production and documentary filmmaking. Her LinkedIn.com page shows she previously taught for six years at Eastern Washington University. Her suspension, which started last Thursday, prompted some students to campaign for her return. “Students for Denise” has circulated a petition on social media and created a website, ReinstateDenise.com. Students had planned to protest Bennett’s suspension with a sit-in at noon Wednesday, but the demonstration was postponed until later in the day after UI issued the text alert and police officers showed up outside the journalism building. In a statement posted to Facebook on Wednesday, UI student Ryan Benson contended the university had “grossly mishandled” Bennett’s suspension and took issue with the allegations in the text alert. Benson, a senior who took one of Bennett’s courses last semester, told The Spokesman-Review she strived to prepare students by running her classroom like a real newsroom, while working with scant funding and other resources. Published: Jan. 30, 2019, 2:12 p.m. Updated: Jan. 31, 2019, 10:48 a.m.